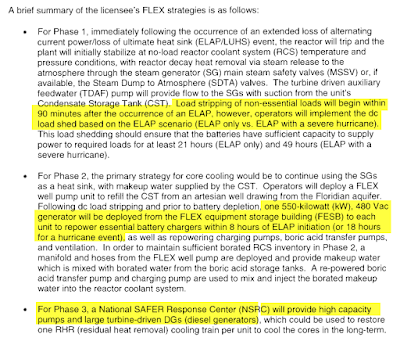 Nuke Pro: 4 Nuclear Plants In Florida Running Full Tilt, and NRC Refuses to Shut Them Down! 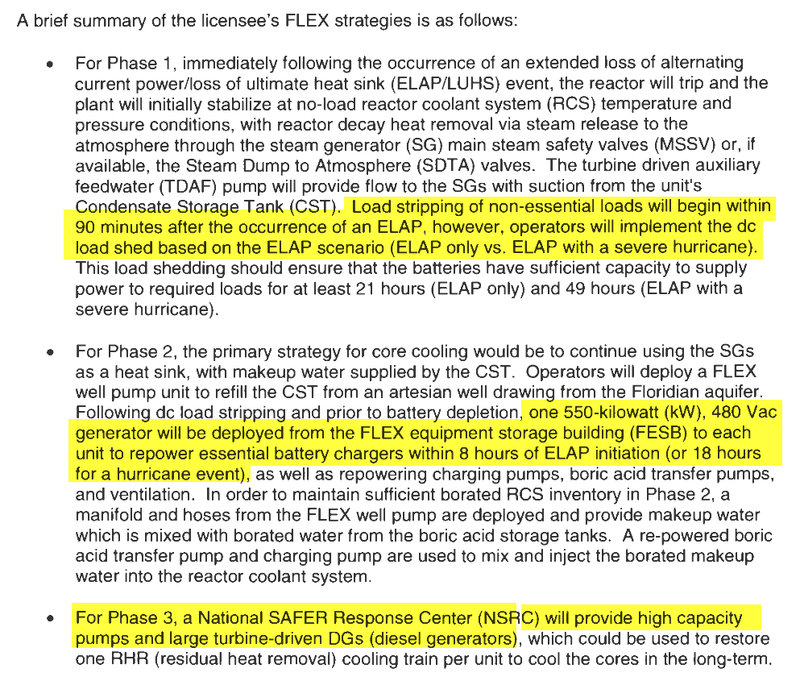 4 Nuclear Plants In Florida Running Full Tilt, and NRC Refuses to Shut Them Down! Last week, the operators of the South Texas Nuclear plant refused to shut down even those predicted flood levels would have swamped them. The NRC refused to shut them down. Now with Irma approaching, the operator, Florida Power and Light, AND the NRC were pretending that they were going to shut down these 4 plants. But they have always hedged with weasel words. They can make a few extra Million if they don't shut down and get lucky. Or they can cause a multi Trillion dollar eco-disaster. down adequately in front of the storm. Days is far better than hours, especially when something can go wrong. 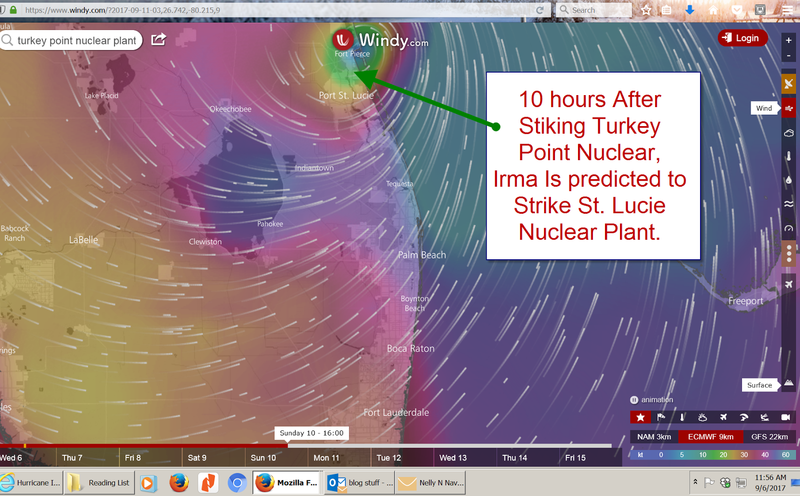 And they are definitely weaseling back on St. Lucie being shut down, hoping the hurricane weakens. a firm stand and shut them down. At the far bottom are maps of the nuclear plants and the projected trajectories. But the story below is the real story, they are set up for flooding, like Fukushima. Added at bottom, photos of 1992 Turkey Point serious damage to critical systems. This storm was around 140MPH, Irma may be 200. The way wind power works is a squared law. Irma will be twice as strong. If you like this information, please sign up as a follower. I might think someone is actually listening. 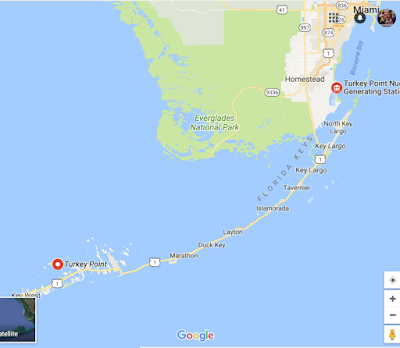 Hurricane Andrew Hit Turkey Point 1992. There were a ton of "lessons learned" generated in a letter, but not implemented. The nuclear cartel has captured the NRC and the NRC has no balls to force them to shut down now. Some very serious problems were close to happening, like a stack damaged and falling on the generator building, loss of that building would lead to a meltdown, a Fukushima. The number 1 concern of the NRC was the timing of the shutdown, the longer it is shutdown, the safer it is due to heat generated by half-lives and heat removal. They have several flooding scenarios, one is LIP (Locally Intense Precipitation) another is the PMSS (Probable Maximum Storm Surge). They store emergency equipment in other buildings as part of a FLEX strategy. These systems need retrieval, movement, and installation in order to work. This is not at all realistic during a flood. See the green highlights, they are hanging their hats on the flood going completely away in 75 minutes. SERIOUSLY! They are basis how long their batteries will last, based upon disconnecting loads to allow the absolutely essential loads to be powered. During an emergency is not when you want to be manually disconnecting loads. You may shut off something that is absolutely essential, with disastrous meltdown results. The Component Cooling Water (CCW) area is super important because if you can't cool the reactor and associated equipment, you can have a meltdown, think Fukushima. The Turbine building is also super important, it "houses" the Critical Auxiliary Feedwater (CAF) Pumps which cool the reactor directly in an emergency. But not to worry, the owner of the plant says these CAF pumps are 7.5 INCHES higher than the expected flood levels, so no further protection is needed. And the Lap Dog NRC "agreed" with the owner. Amazingly, in an area subject to Hurricane flooding, and a steady attack of salt air, both critical "structures" are open air, they don't even have walls to protect the equipment. See Salmon colored highlight. 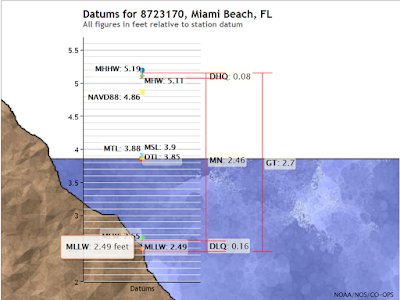 (Mean Low Water Datum). 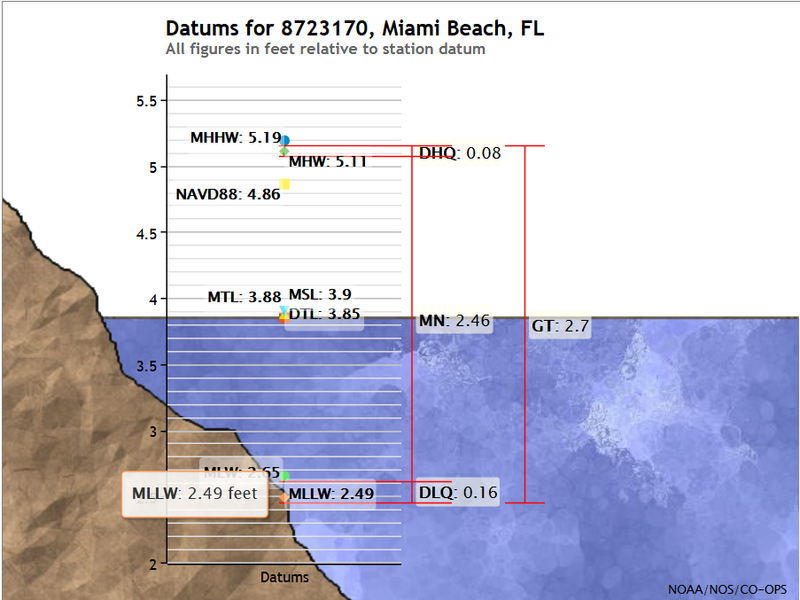 See further below the new Max Level is 17.5 NAVD88 (A new Datum set in 1988 which is 2.21 feet higher than MLW see link). Them bottom line though, is that even though there was a Datum change, they still reduced the level of the maximum probably flood, AFTER FUKUSHIMA. Rather than get safer, they became more risky. 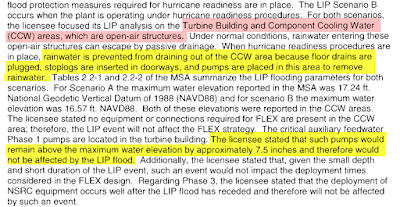 In the NRC report below, their 2016 design basis HAS BEEN REDUCED to 17.3 feet still water, and 19.1 feet with waves. 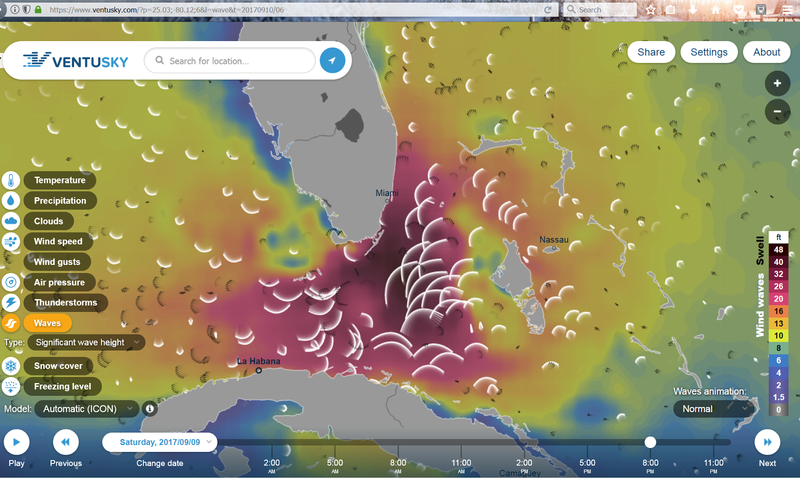 Wow cool, 200 MPH winds and only generating waves of 1.8 feet. Then they back it down again, see the blue highlight below. Here is the NRC report on Turkey Point Flooding. They cite tabulated values and summaries, but these are strategically not included with the document. They want as few people as possible to understand the situation and assumptions, which a summary table would make it too easy. Only those with the time, knowledge, and patience to do it will see how horribly inept their plans are. I wonder if they even have food and water for a few days. South Texas Nuclear forced one of its workers to drive through flood waters to get food because they ran out after not even 2 days. As we saw in Texas, they kept the Nuclear Plant at 100% Power even though predicted flooding was higher than their design basis for the Nuclear Plant. 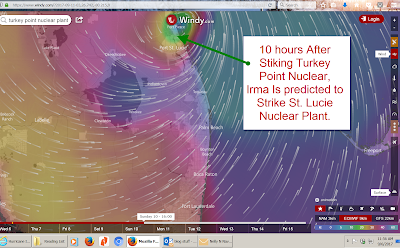 Now the stronger Irma is predicted for a direct hit on both nuclear plants in Florida. The captured NRC does not have the balls to demand a prompt shutdown. I have made contact with both plants and asked them if they have a definite time-frame that they will shut down for safety. Neither one has responded as of 30 minutes ago. The fire protection system at the plant was disabled when winds knocked a high tower tank onto a 500,000 gallon tank containing water for the fire protection system. 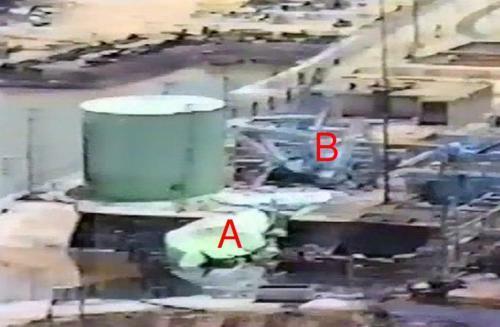 Figure 2 shows the blue base of the high tower tank (B) and the green walls and siding of the demolished water tank (A). 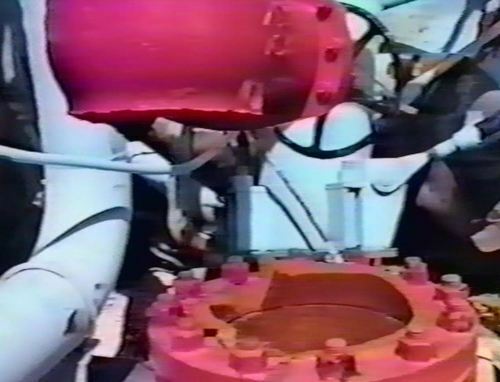 Figure 3 shows the red fire protection system piping snapped in two when the high tower tank smashed the 500,000 gallon tank. The high tower tank was intended to supply water by gravity feed for fighting fires while the tank held water that diesel-driven and electric-motor-driven fire pumps could deliver for fire fighting. In addition, the winds severely cracked the exhaust stack on the Unit 1 oil-fired plant. Figure 4 shows a close-up of the cracked exhaust stack. 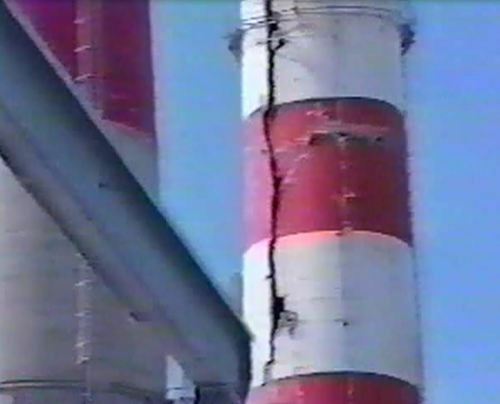 If’ the damaged stack had fallen, it could have landed on the building housing the emergency diesel generators for the nuclear units. Considering that the diesel generators were the only source of ac power at the plant for several days, it was extremely fortunate that the leaning stack of Turkey Point did not fall. 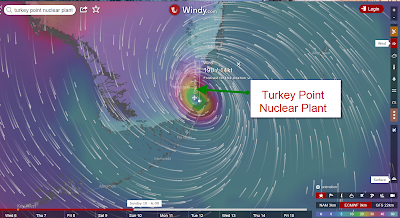 A nuclear plant should be designed to withstand the forces of nature expected at its location. Hurricanes with winds up to 175 miles per hour occur in south Florida. A good design would not have high winds disable the fire water system and seriously challenge the backup power system. It’s just wrong to design the emergency diesel generator building to withstand high winds but construct it within falling distance of a heavy stack likely to be toppled by high winds. They are being shut down at the last minute to provide much needed electricity to emergency services. The design basis of these plants are in their SAR documents which are public knowledge. Stop squawking. Professional grade folks have it covered. They are trained in AOPs EOPs. Total lie, emergency services does not need that specific electricity. The oil plant and stack are non safety related. They are designed and built to a different code and standard. If they topple over so what? The media will try to make hay about it and the unknowleged sheeple will eat it up. Move along nothing to see. Turd you haven't studied the 1992 hurricane. A stack was heavily damaged and could have fallen on the generator building. Not good. Non-nuclear safety related means no impact to nuclear safety. You'd know that if you were familiar with the grading process. The generator is also non nuclear safety relates. Tell me what does loss of generator have to do with a pwr reactor that is sbutdown, and isolated from any structures outside a 6 ft reinforced concrete containment? You still believe US plants are like any other plant or industrial facility looks like? 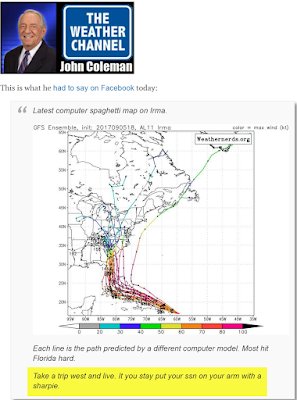 Irma is a Cat 3. Katrina was a 5. Abd nuclear plants were at greater risk for that one. My time in commercial nuclear prepared me to answer antinuclear fearmongering and ignorance. Im glad i had that experience. You wouldnt argue eith a pilot that had 40 year aerospace experience. You just can't make a cogent technical argument without knowing the technology. Look up the requirements for an SRO nuclear in commercial not research reactors. Thats who you are trying to convince. Arnie cant help you here. Katrina? 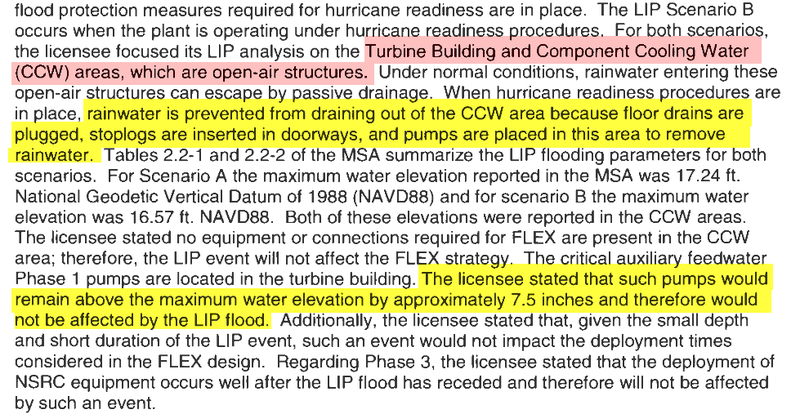 It was Andrew that did $90M in damage to the plant, and generated a slew of lessons learned, one of which was NRC complaining they want the plants shut down more quickly prior to storm arrival. Plus a doctorate in nuc eng. So nothing you wrote above goes against existing studies noted in SAR documents that are publically available. Youre fishing for something professional grade people have more than considered. Your precious Turkey Point 4, self SCRAMMED today. LOL should have shut it down, irony and arrogance.